Mini-Skool’s kindergarten school program is one of the best you can find, as well as extremely convenient for families who need a full day of child care. Auditory skills, reading and writing, visual discrimination, art projects, letter concepts and math awareness are consolidated into this multi-sensory, child-oriented program. Weekly themes, with related activities, assist in developing your child’s knowledge base, attention span and effective communication skills. Mini-Skool’s Discovery Areas, located throughout the classroom, will challenge your child’s keen and curious mind. The Kindergarten Discovery Areas include: Creative Art, Music & Listening; Manipulative / Cognitive; Library & Language; Home Living, Cultures & Dramatic Play; Construction Block; Science & Nature; Sound Table; Math Discovery and Computers. Mini-Skool’s teachers encourage and model courteous and thoughtful behaviour as your child begins to develop solid and meaningful friendships. Our teachers use their experience and training to ensure that each child’s day is balanced with physical activities, learning, love and most of all, fun! In preparation for grade one, Mini-Skool’s kindergarten program provides a more school-like structured setting. The low teacher to child ratios experienced by your child at Mini-Skool will give him or her a huge advantage. Your child will be given the time and attention required to provide a solid foundation for a lifetime of continued learning. In addition to our kindergarten learning programs, four and five year old children are encouraged to talk about feelings and emotions, and to take responsibility for their actions. Your child’s educational journey continues as we introduce our customized language and math programs. No philosophy of reading is complete without reference to phonics. Mini-Skool has chosen Jolly Phonics to teach your child in a fun and interactive way. Your child will learn the letter names and sounds with an enjoyable multi-sensory approach. Learning how to blend letters, to read and to write words are all part of the fun of Jolly Phonics. Children aged 4 and 5 are able to do Junior and Senior Kindergarten at Mini-Skool and it has been my personal experience that the education they receive is superior to that of the public elementary programs. Low teacher to child ratios at our kindergarten school allow the teachers to spend the extra time with those children who require additional support. If your child is excelling in the program, supplementary learning material is provided to ensure that he or she remains challenged. We want every child to receive the full benefit of our program. Mini-Skool teachers have taken the time to divide Jolly Phonics into a custom designed two year progressive program, to challenge both JK and SK children. The program is divided into three terms: September-December, January-March, and April-June. Each child in JK receives a personal binder to house their work sheets. SK children receive an accordion file folder to house their various workbooks. As the children progress through the terms, additional supplements to the program are introduced, such as “Jolly Jingle” songs, “Word Baggies”, “Book Buddy Bags”, “Printing Journals” and “Language Arts” journals. To ensure that the program is successful, we involve parents, and ask that you support and assist your child with their learning. You will be kept informed every step of the way by letters describing the program and Developmental Record reviews during parent evenings, as your child progresses through the terms. At Mini-Skool, we introduce children to the French language in a fun and interactive way through circles, props, charts and stories. Our teachers will encourage children to become comfortable with using basic french words in everyday conversations. 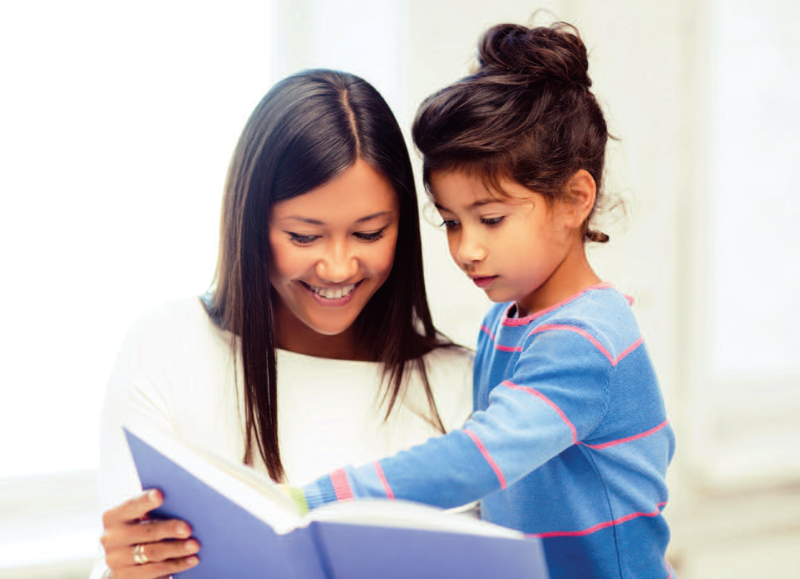 Our focus is on verbal speaking, but your child will receive written worksheets to do at home. Studies have proven that children who have early French immersion programming function at higher proficiency than those who develop later in their school years. Mini-Skool strives to offer an introduction to French that will give them a head start to future grades. Mini-Skool is proud to be using an all new program called “Math Works” for our Junior Kindergarten and Senior Kindergarten students. The Math Works program is based on all strands of mathematics, with 25 indivitual units covering all the key concepts needed to learn math well. Children are given the opportunity through creative, stimulating and open-ended activities to develop their ability to work with others, improve on their individual math skills, and have other beneficial learning experiences. Your child’s Junior and Senior Kindergarten years each end with a Graduation Ceremony that you will never forget!